I've known Brooke for a long time now. Around six years, in fact! For someone who moved every two years while growing up, six years is a very long time. The longer I know Brooke, the more I love her, and the more determined I am to make her be my friend forever. Brooke likes long walks, travel, and chocolate. We both love samples at Whole Foods, which is basically the foundation of our friendship. Brooke is married to Garrett. Garrett is similarly awesome. 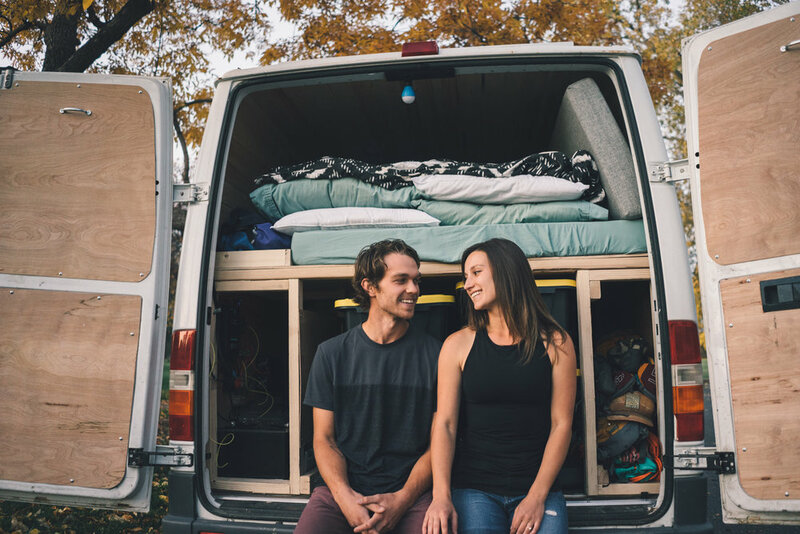 He's a musician and a rock climber and a long distance trail runner. He's as chill as they come, man. They like to go on adventures together, and recently they set out on a pretty big one. 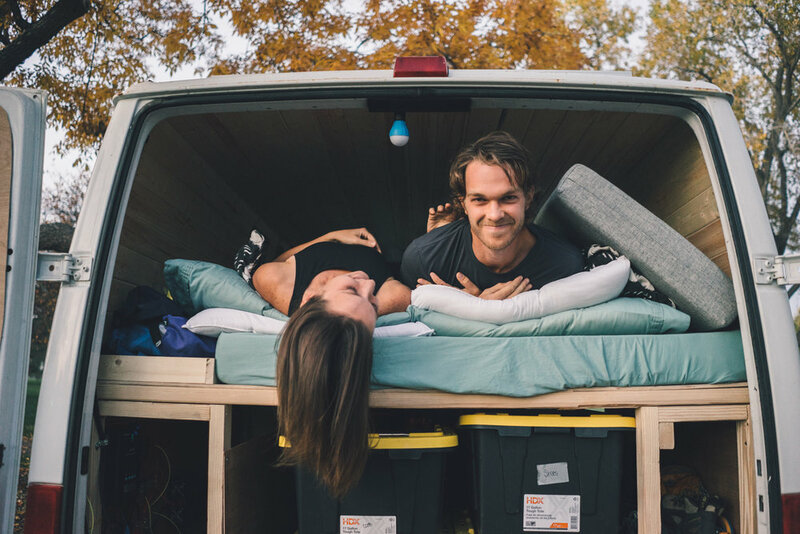 These two dirty hippies bought a Sprinter van and built it out to become their new home on the road. For the foreseeable future they'll be living that road trip life, getting lost, climbing rocks, taking in our national parks, and enjoying the freedom of not being tethered to any one place. We got together for a goodbye-for-now, intimate couple session under the autumn leaves in Denver. Below are some portraits of these two beautiful, crazy kids on their way out of Denver. Keep in touch, you two! Don't forget to shower every once in a while.